A month ago, goodreads offered readers that rated one of Cassandra Clare’s books with 5 stars the chance to ask Cassie one question for their May Young Adult newsletter. The newsletter was published today and 13 great questions were picked by the goodreads team. Eliza: How do you come up with all the sarcastic comments that make the Herondale boys who they are? I am sarcastic, and some of my friends are sarcastic, so I’m well-equipped with a sarcasm incubation chamber. But then the characters themselves are also responsible. They each have their own senses of humor, and they come up with things that surprise me all the time! People LOVE Magnus! We had a few different questions about him! Trevor O’reilly: What was the inspiration that led to the creation of Magnus Bane? He’s an awesome character with his own attitude and eccentric personality that’s always with him, no matter when or where he is. Magnus came from multiple sources. Part of it was my desire to play with the idea of wizards and warlocks. We tend to think of them as Dumbledore types, very wise and old with long white beards. (In fact, sometimes people still say to me they picture Magnus as having a long scraggy beard, because he’s a warlock!) So I was trying to get at the opposite of that. I wanted to create an ancient warlock mentor figure who was also a guy who threw parties, who wore glitter and leather pants, who hid his wisdom under a party-boy facade. I never expected him to grow so important, he’d have his own book, but I’m very glad he did. TheBookAddictedGirl: OK, I’m just as much dreading City of Heavenly Fire as I am freaking desperate for it…therefore: Can you give us an estimate about how crushed/destroyed/dead-inside City of Heavenly Fire will leave us? You know, in terms of: How long will I lie in the fetal position on my bed, comatose and beyond consolation; how many tubs of Ben & Jerry’s PhishFood ice cream will I need to eat; how many episodes of Friends/Big Bang Theory/How I Met Your Mother will I need to watch to cheer myself up; how long will I be unable to even consider picking up another book, knowing just how freaking scarred and heartbroken CoHF left me? I posted about this on my tumblr recently. I have said that six people whose names we know will die in City of Heavenly Fire. (And there was a big banner that said WHO WILL SURVIVE across the teaser cover, but to be fair, I didn’t come up with that one!) I can see how that would be nerve-racking. I feel like there’s been a lot of character death floating around in various media lately, and I have been seeing much agony about it. Which I totally understand because character death often sends me off to bed with a fluffy cat and an ice pack. Here’s what I can say about CoHF: I do think all the deaths matter. None of them happens for shock value or no reason or to get across the message that death is random and terrible. My goal is not to destroy lives or drown anyone in a bucket of feels, just to tell an enjoyable story and create an end point that hopefully people will feel does justice to the story that came before. I don’t want anyone to feel jerked around. I want things to feel earned and meaningful. I am not a fan of nihilism (bad things happen for no reason without a glimmer of hope)—which is not really an overall judgment call on nihilism, just a preference. The ending is not a despairing one. I believe in hope! I really do. Radhika: Did you cry in any chapter? And if so, what was it called? I cried a bit in the epilogue, but that was because I had to say good-bye to everyone as a writer. I don’t know if you’ll cry! Click here to read the complete Goodreads interview which also answers questions about Magnus Bane, The Mortal Instruments: City of Bones, Cassie’s future Shadowhunter series and many other interesting things. Less than 7 days until the release of City of Heavenly Fire! 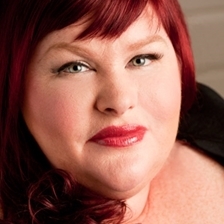 Make sure to check out TMI Source on May 24 for our interview with Cassandra Clare and a giveaway. I can’t believe its only seven more days! I can’t wait, but I also never want this awesome series to end! this actually made me feel slightly more hopeful about CoHF. Still terrified, but… Not as terrified as I was. I just really need this book. I’m feeling a bit more hopeful about CoHF now that Cassie cleared that all up. I’m still not ready for all of this to end, though. It’s so sad to think that we won’t really get to see our favorite Shadowhunters again soon. Still, I’m going to go about this all with as much dignity as I can muster, and truly try to enjoy/savor this last book from the series. I’m so not going to survive the next seven days, though! I’ll admit I’ve been falling a bit behind on reading the rest of the series well at least the last two because life has been so uncompromisingly hectic but now that I am on my summer vacation now I can catch up but even more so right now I feel a lot more confidant on how this book is going to turn out. I think I’ll probably cry! I really hope that malec and sizzy carry on!! I also like that Cassie says nobody dies for no reason it made me a little more hopeful! “I don’t know if you’ll cry!” yeah, well, WE. WILL. Wanted to share this…..even though it happened a bit ago oops!